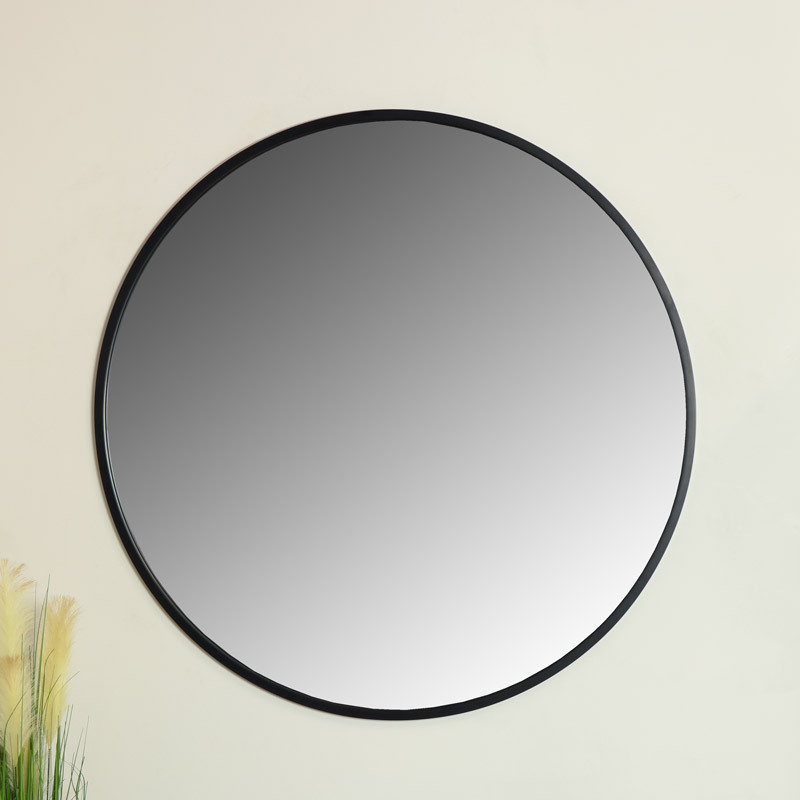 Round wall mirror in an extra large size with a retro, industrial feel black frame. Ideal for displaying in the living room or hallway of a retro, modern style home. Constructed with a round black metal frame. 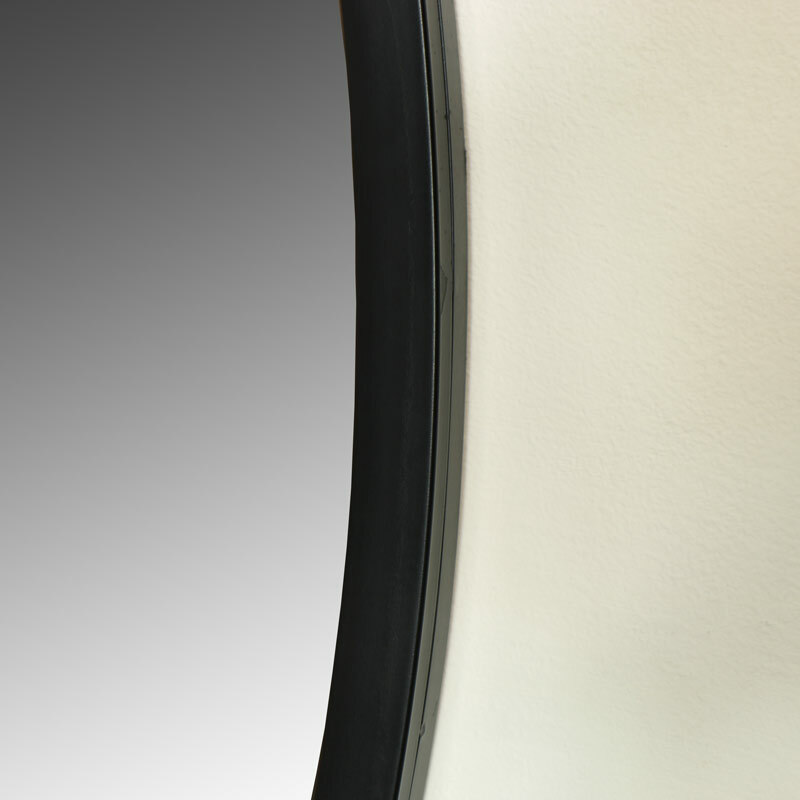 The mirror is easily wall mounted with a hook on the back for hanging. (Please be aware the mirror is heavy and will need correct wall brackets).